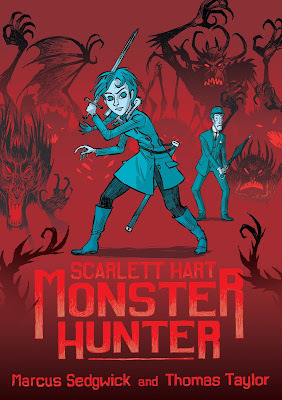 In a world filled with monsters, Scarlett Hart Monster Hunter Vol. 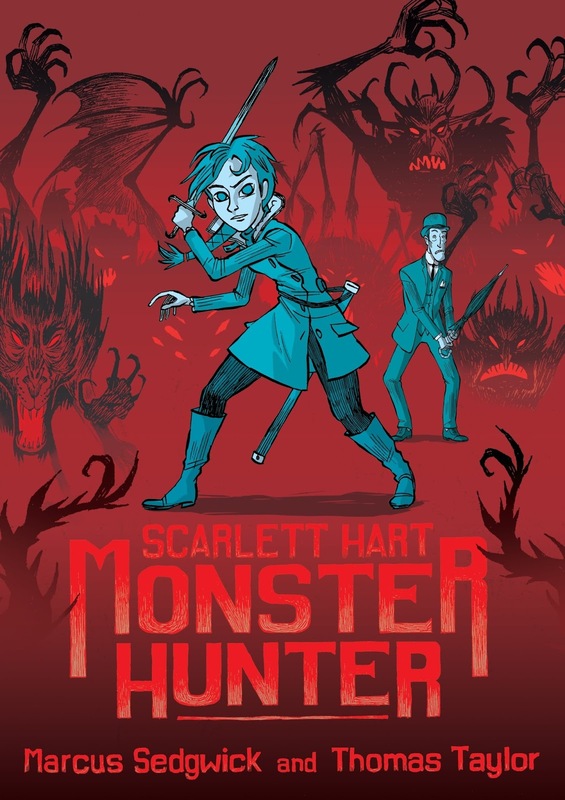 1, created by Marcus Sedgwick, follows a young girl named Scarlett who has decided to follow her deceased parents’ footsteps making her the final monster hunter of the Hart lineage. With the incentive of collecting a bounty with each monster that is slain, Scarlett is joined by her butler, Napoleon, who not only is her partner, but a very good friend. The two of them are constantly trying to escape the Watch, the monster hunter incorporation that is after Scarlett for using Napoleon to report her monster kills since she herself is not old enough to have a license to kill monsters. The two are inseparable throughout the entire comic and work hard to eliminate the monsters that terrorize their city by using remarkable contraptions. Scarlett and Napoleon have a nefarious nemesis named Count Stankovich, who always seems to be one step ahead of them. How is it that he always seems to know where the monsters are at before anyone else? What is he hiding and why does he hate Scarlett so much? The characters in this comic are very well done. Scarlett and Napoleon are definitely my favorite characters. While Scarlett has a rebellious side, she is also sweet and caring and would do anything for not only Napoleon, but for the entire city, as she proves when she fights the monsters in the cathedral without thought for herself or what would happen if she were caught by the Watch. Napoleon looks like the typical butler. He’s tall and skinny and dresses really dapper and always tries his best to be well composed. But despite this, he has a heart of gold and is always trying to help others, even when they are not kind to him. He loves his car, whom he calls Dorothy, and he is extremely loyal. The Count is the perfect villain. Not only does he have the stereotypical personality of a bad guy, he also looks the part as well. He’s tall, thin, has a mustache, and usually has an evil smirk on his face. You can almost hear a whiny sneer to his voice as he talks. The illustrations by Thomas Taylor, who is known for his drawings in the British editions of Harry Potter, are very interesting. He definitely has his own style, which is probably not for everyone. For example, the characters have no pupils, and Scarlett’s braid flops around a lot. However, the monster fighting scenes were terrific. The different monsters are fun and creative, and the ending scene where she battles the largest monster of all is full of action and suspense. It is obvious that this is a comic geared more to the younger readers, perhaps middle-school aged children, but I think adults would enjoy this comic as well. I most certainly did.